After graduating from fine arts in Istanbul, she moved to Barcelona where she got her master degree in the same field. 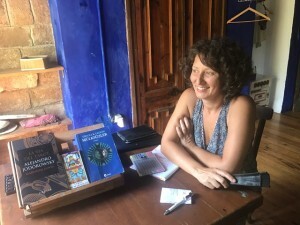 Her work as translator and interpreter started in the beginning as a job to combine with her studies, but years after would expand in mostly cultural areas. Actually she spends her part time in literal translation (novel, essay and teather texts) and the rest of her working hours in cultural management and creative writing. Some of the authors she translated; Alejandro Jodorowsky, Juan Mayorga, Rodrigo García, Jordi Galcerán, María Losa Rojo.